Emotional intelligence | #Hope lives! Very well put together thought. I have really enjoyed it . It is a very thought provoking idea and worth following . If peace is all we are striving/aiming for , why not walk the walk and make this as our daily practice . Be conscious of it !!!!!!!!!! Thank You………. Thanks for your kind words, as they mean a lot to me. 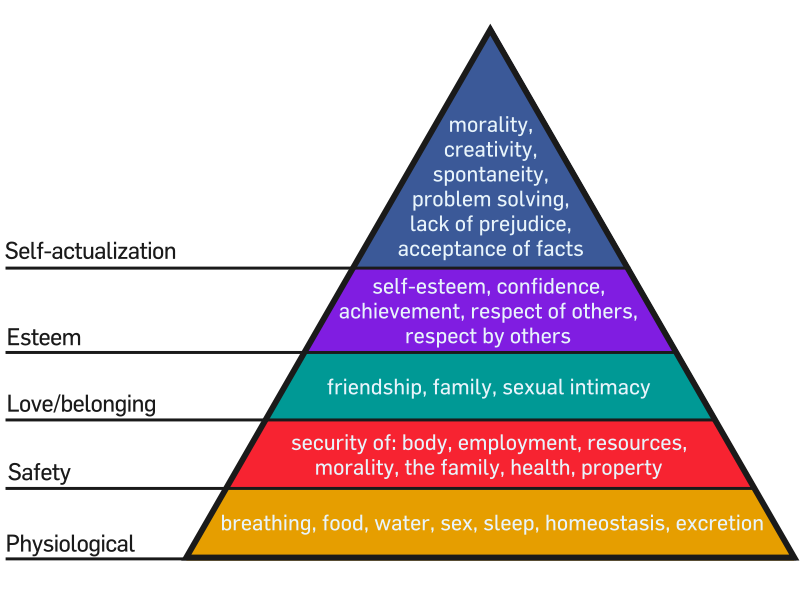 Yes I have put Maslow’s hierarchy of needs represented in the pyramid above this post, as I was fascinated by it during my young years as an MBA student. It has taken many detours to realize that once we have self actualized and achieved all we want; then we finally are at peace, and from us the light of reason spreads out to others. We see the same soul (Atman) in everyone; and we are not separated any more; but are walking together on the same path to salvation and peace (Paramatman) in our own special way. What’s up, I log on to yοu&X72; b&X6C;оgs on a re&X67;ular basis. Your story-telling style iѕ witty, kеep doіng what you’re ԁoing! Good day, tidy web-site you possess in here. Very good Web site, Preserve the excellent work. Thanks a ton! anything completely, but this post presents nice understanding yet. Here are some links to web-sites that we link to mainly because we think they’re really worth visiting.